All The Wonders is a website co-founded by librarian/podcaster, Matthew Winner, and me. It is a home for readers to discover new books and to experience the stories they love in wondrous ways. It is an entertainment channel, a variety show, and a modern library all wrapped up into one digital home. Matthew and I have been building this project in secret for several months, and we've already gathered an amazing team to help tend the ship. So please take moment to check out allthewonders.com and continue to follow me there. I've had a good little run here at Starships and Celery, but this site will no longer be active. Here's a little taste of what I'm doing at All The Wonders: a video interview with my new pal, Author/Illustrator, Steve Light. I built Starships and Celery to chronicle my first steps into children's literature, but this particular dinghy was always pointed toward wonder. Now, she is home. A year ago today, heavy rain rendered our backyard into a swamp. So I did what any civilized parent would do - I took my daughter outside to stomp in it. Here's to the moments, big and small, in dresses or in mud, that make our children smile. And Happy Father's Day to my Dad and all the other wonderful Dads out there! Has it really been months since my last post? I guess that writing, making a living, and producing a human child have kept me busier than I thought. That's right, Julie and I are expecting our second small Hamilton, and we couldn't be happier! I decided that it was high time to stop ignoring my bloggerly duties because today is a very important day in my creative life. In just a couple of hours I will be heading to my first SCBWI Conference! For those of you who don't know, SCBWI stands for the Society of Children's Book Writer's and Illustrators. Joining is pretty much the first thing you need to do when you decide to write books for kids. In addition to attending some amazing workshops, my picture book manuscript WINDLEHORN will be critiqued by an editor at Putnam's Sons/Penguin. I will also be pitching a project to an agent from Pippin Properties (that's a lot of P's), and having a page of my work read aloud to an agent from Prospect Agency and an editor from Little, Brown Books for Young Readers. So yeah, I'm kinda nervous. But mostly I'm excited, nay, VERY EXCITED, to be surrounded by grownups whose primary passion is writing books for children. My guess? It'll be like coming home. Best birthday gift ever! Best wife ever! 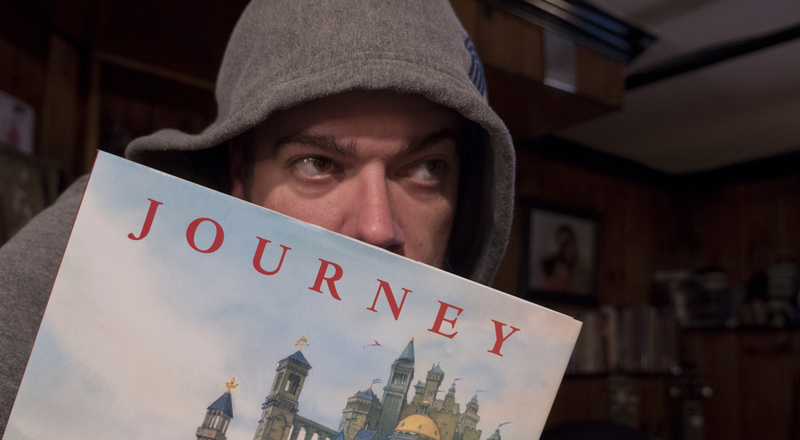 The hardest part about being both a father and an aspiring children's author is not what you might expect. Finding the time to hone my craft is difficult, sure, as is maintaining a private workspace. But neither of those things compare to the difficulty of figuring out where to display the family's best picture books. I must admit that I keep a close eye on certain volumes in my daughter's library, and when I think they've fallen out of her favor I pilfer them away to my home office. I am not proud of it. Thee weeks ago, my munchkin turned four. Tomorrow I'll be thirty-six. As my birthday approaches, I feel simultaneously ancient and preadolescent. One might choose to interpret the pairing of those adjectives as implying both wisdom and imagination. Others might see them as allusions to decrepitude and immaturity. Somewhere in the middle lies the truth. And you know what? It's not such a bad place to be. In fact I quite like it. I'm old enough now to understand how misguided ambition can be (and, apparently, to throw around words like "decrepitude"), but young enough to believe my journey as an artist is just beginning. I'm wise enough to be a decent dad, and vigorous enough to chase my daughter to the ends of the earth: to "sail off," as it were, "through night and day, and in and out of weeks, and almost over a year, to where the wild things are". Here's to premature grays and childish ways, in equal measure. Yesterday, my beloved cousin Suzanne lost a brutal battle with Leukemia. She was a 37-year-old mother who had been married for less than 3 years, and a parent for 2. These numbers have no business being final, and they are made all the more heartbreaking by the fact that Suzi was one of the most joyous, generous, and sensitive people I have ever known. She once said that becoming a mother completed her, and yet she was forced to spend the last quarter of her brief time as a parent being tortured in a hospital bed. It's enough to make you want to destroy this world in the hope that it might be replaced with one that makes an ounce of sense. There are hordes of distraught people in mourning today, my wife and I among them. I find myself shifting between overwhelming grief and violent rage. Suzi's passing is truly one of the greatest tragedies of my life and the lives of many, many others, all of whom will now attempt to make the future of Suzi's immediate family as bearable, and eventually beautiful, as possible without her. Right now it seems impossible. Still, we must begin somewhere, and so one of Suzi's friends was thoughtful enough to start a fundraiser for Suzi's beautiful daughter, Jacqueline. Please share this with anyone who might consider a donation, and know that my cousin was the rarest of birds in this crazy, crazy world. She was honest and good. To know her was to know beauty. Now that the teaser for Star Wars Episode VII has entered the collective consciousness, we are all forced to wait a year to find out if the movie will heal old wounds. For many of us who grew up in the 70s and 80s the original trilogy shaped not just our imaginations, but the way we view good and evil, destiny and spirituality. Then in 1999, we re-entered the theater as adults to watch The Phantom Menace and left in confusion. That confusion quickly turned into anger, which led to hate...and yes, we all suffered and quickly turned to the dark side. There has been plenty of time now to digest and discuss the many flaws of the Star Wars prequels. But there is one story issue that is often overlooked, and it is the single reason why The Force Awakens is almost definitely the best Star Wars movie since Return of the Jedi. Hint: It has nothing to do with the teaser. First, let's list some of the tired but true arguments against Episodes I - III. The amount of history between them is astonishing. "But, that second guy looks so cool!" He sure does! But who is he? Do we care if he dies? You could argue that the real character equivalents in Episodes I - III are young Obi Wan and Senator Palpatine, but how much new information do we glean about them either? How much do we know about Mace Windu or Count Dooku? The problem is that when George Lucas sat down to tell the backstory of the original movies in Episodes I - III, he forgot to create new backstory. It made the characters less interesting than the light sabers they were wielding. They were one-dimensional beings in service of a plot, rather than deep, complex creatures with interwoven fates. Had Lucas given Master Windu needs and desires or a family history, for instance, perhaps he wouldn't look like he'd rather be fighting snakes on a plane than sitting in a jedi council meeting. Now, a decade later, here comes J.J. ship-hopping from the Enterprise to the Millennium Falcon, ready to blow our minds. Will he? Time will tell. But he has inherited enough backstory to kill a Bantha. And that is a very good thing. On the other hand, I could be totally overestimating this whole backstory concept. After all ... Crystal Skull. While I am finally pursuing my first love, writing for children, I still make a living as a "filmmaker". I put that word in quotes because film as a medium is no longer involved in my process (or in most moviemaking processes at this point). I also use quotes because on occasion I shoot corporate work, which is as close to filmmaking as doing an excel spreadsheet is to being a mathematician. Yesterday was one such day when I was being a "filmmaker". I shot 18 interviews over 10.5 hours in a boardroom (while sneaking in a few sketches and some PiBoIdMo brainstorming here and there). At the end of this long day, ready to relax, I discovered that someone had smashed the driver side mirror on my CRV. Money made, money lost: the joys of freelancing. It has been a joy beyond description to watch my daughter hone in on the sounds of words just like her dad does. "Doubloons" (or "bloons") is a doubly wonderful word because it sounds beautiful to my ear, and because...TREASURE! Who doesn't love treasure? To top off a very long and eventful day, I watched as my daughter laid claim to my belt and, having wrapped it around a lunchbox, used it to transport her pixie dust around the house, Finally, she fell asleep with said belt curled up like a timid snake and pressed against her chest. Love, imagination, words, play, presence: these are all reasons why being a dad is the greatest thing in the world. And they are also the reasons I write for children. At this very moment, thousands of bleary-eyed authors are attempting t0 write an entire 50,000 word novel in 30 days while also coming to terms with the looming specters of polar vortexes and Thanksgiving reunions. This is because of NaNoWriMo (National Novel Writing Month), a noble but well nigh impossible, 30-day marathon for the Schwarzeneggers of the literary world. "But what about those of us who write books with pictures," you ask, "and, you know, not so many words? What are we supposed to do with our Novembers?" Well, thanks to a gracious author named Tara Lazar, we children's authors have our answer! Tara's solution is called PiBoIdMo (Picture Book Idea Month), and the task is very simple: create 30 picture book concepts in 30 days. That’s it. There are no other rules. You don’t need to submit anything at the end of the month, and your ideas can be as terrible or unrefined as you’ll allow them to be. Sounds fun, right? But wait there's more! On Tara's site you get to read amazing daily blog posts by fellow authors and illustrators, as well as comment to win potential prizes. Click here to find out more. So, now that it’s mid-November, what has PiBoIdMo done for me so far? Let us see what becomes of him. I have a tendency to slam my head into things. In the past month alone I have walked into two street signs, collided nogginwise with a soap shelf, and likely dented a variety of other surfaces I can no longer recall. On the northeast side of my cranium there is a permanent lump, like a small horn, that reminds me of my clumsiness every time I scratch that part of my head. I attribute all of this to being a time-traveller. Sometimes I look at my three-year-old daughter and she is still a baby, squeezing my fingertips and mumbling, "fleh beh, deh deh". Other times she is a beautiful teenager, side-lit by a window, and I wonder where the time went. It is a crazy thing to wander through life this way. It causes sign posts to appear out of nowhere, and premature horn growth, but it also instills in one the need to harness time, to give shape to the chaos: to tell stories. I guess this is why I’ve finally decided to create a blog. When you have a memory like mine, which is one notch over none at all, it helps to document as much of your life as you can. On this website you will find tales of the whimsical and the mundane, explorations of the creative process, and most importantly, you will watch as a confident child-writer who became a lost filmmaker becomes a writer for children. Finally. I hope you’ll stick around to keep reminding me who I am, who I was, and who I’m in danger of becoming.